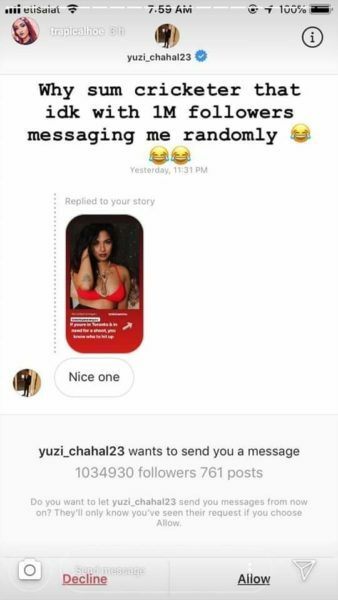 Caught Red Handed : Yuzvendar Chahal Texted A Random “Hot Girl” & She Posted The Screenshot Right Away !! 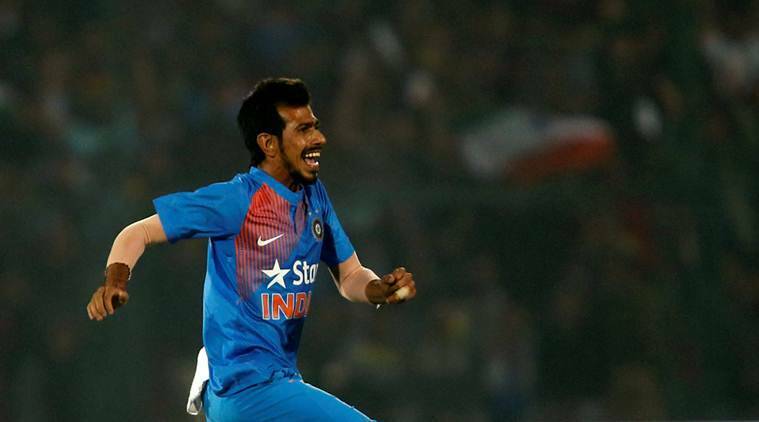 Yuzvendra Chahal is an Indian cricketer who represents India in both One day International and Twenty20 Internationals. He plays for Haryana in Indian domestic cricket and Royal Challengers Banglore in the Indian Premiere League. He is a leg break bowler. Nowadays almost every celebrity, whether any sportsperson or a Bollywood personality, has accounts on social media platforms, especially on the micro-blogging site Twitter and photo-sharing site Instagram because it is one of the easiest ways to stay connected with your fans and followers. 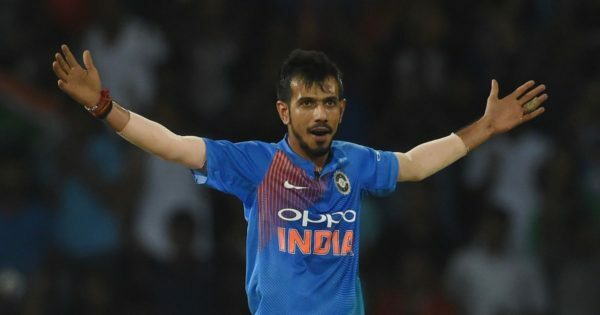 Yuzvendra Chahal, the Indian cricketer who represents India in ODIs and T20I, is also very active on Instagram and presently he is in the center of controversy due to direct message sent by his ID to an unknown person. 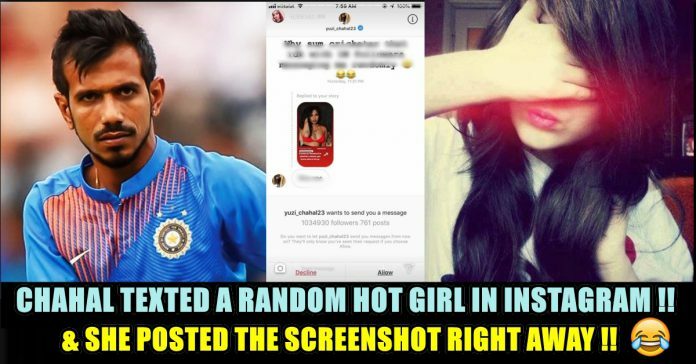 A girl shared a hot pic in which a young woman in revealing dress can be seen posing. To this, a message came from Yuzi’s Instagram ID that read, “Nice one”. 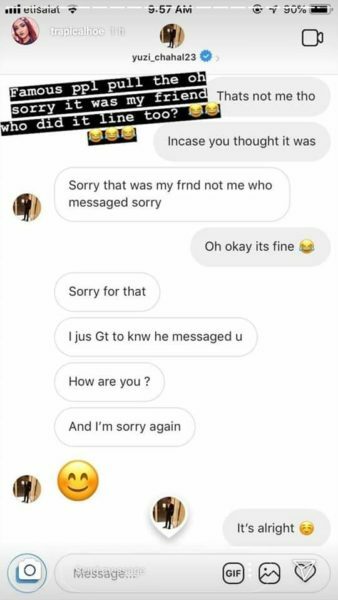 Well, we don’t know whether Yuzi or his friend sent the message but don’t you think that celebrities should be more careful with their mobiles and not give them to anyone else, as these types of incidents may hamper their image? 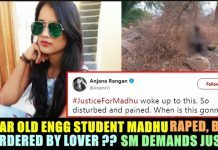 Waht do you really think on this matter ?? comment your views and let us know !! Previous articleEXCLUSIVE : This Reply From Rajinkanth When He Asked About Kamal Goes Viral !! 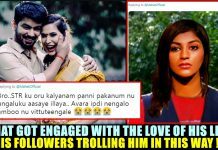 Thalaivar Winning Hearts !! 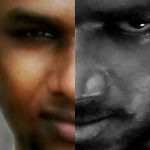 Next articleBREAKING : Result Of ADMK’s Atrocity In TN Theatres !! 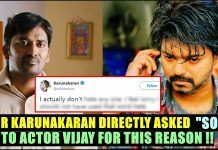 SUN PICTURES Released A Shocking Statement ! !